Click & Collect offers all the benefits of shopping online with the added convenience of picking up you designer aquarium products from a local Hugo Kamishi dealer at a time that suits you. The Hugo Kamishi Click and Collect service is very simple and easy to use. 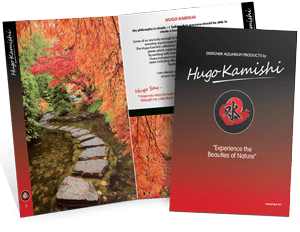 Our aim is to offer you the ability to peruse the full range online, place an order and collect from your nearest Hugo Kamishi stockist.